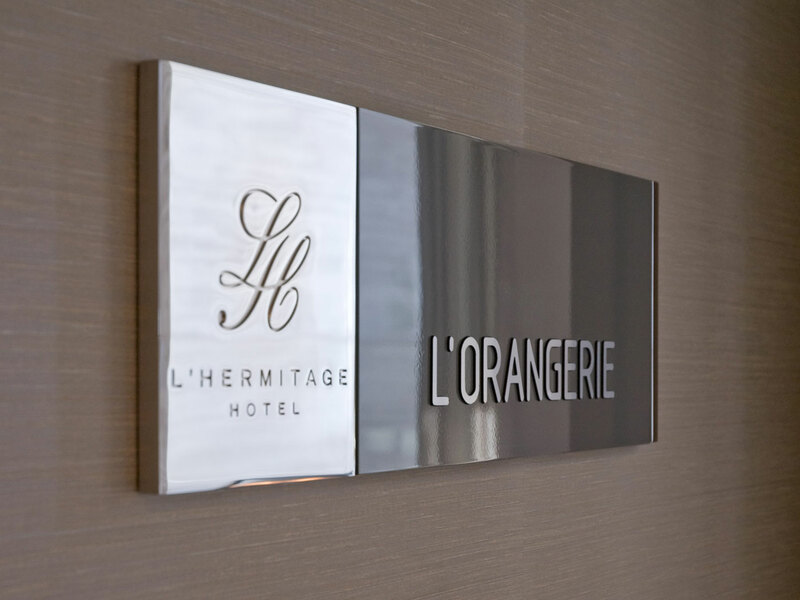 L'Hermitage is a small boutique hotel situated in Vancouver at a pivotal location between historical Yaletown and the downtown core. 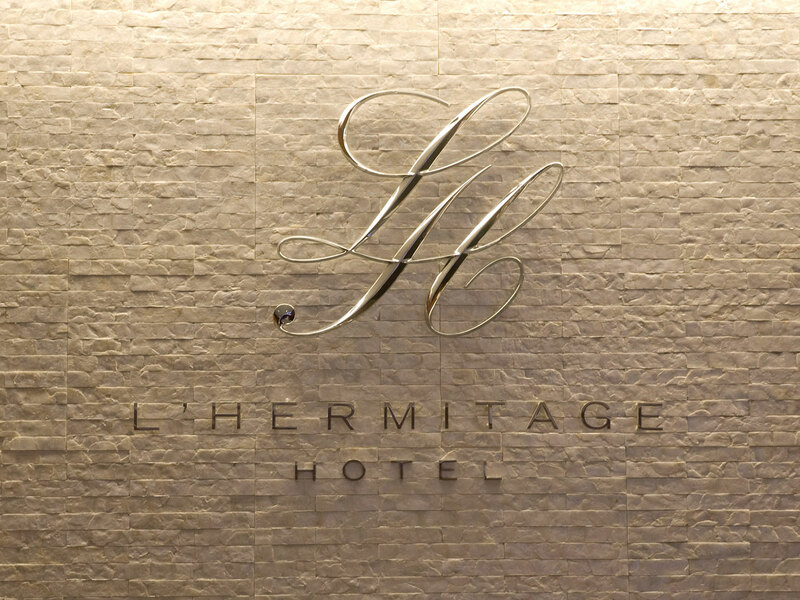 Letterbox first developed a brand identity for the hotel designed to convey a personal monogram reflective of the hotel's management philosophy of distinctive, personalized service. 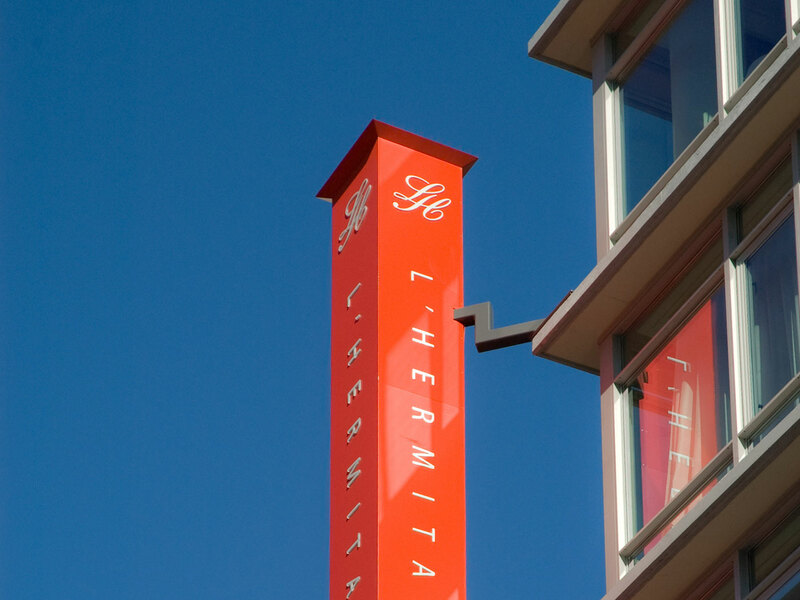 The identity was then implemented onto a comprehensive signage program. 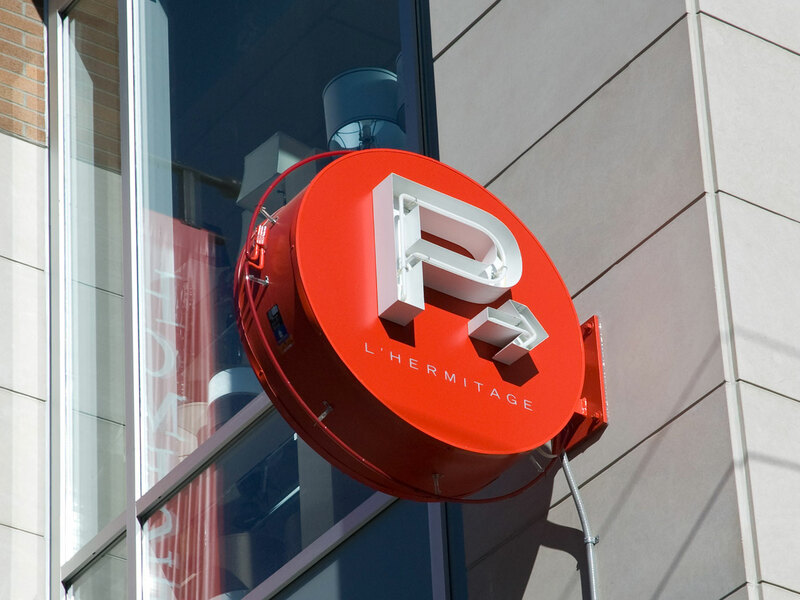 Exterior signage identifies the building clearly amidst a busy downtown streetscape with elegant finishes and bright pops of signature red. 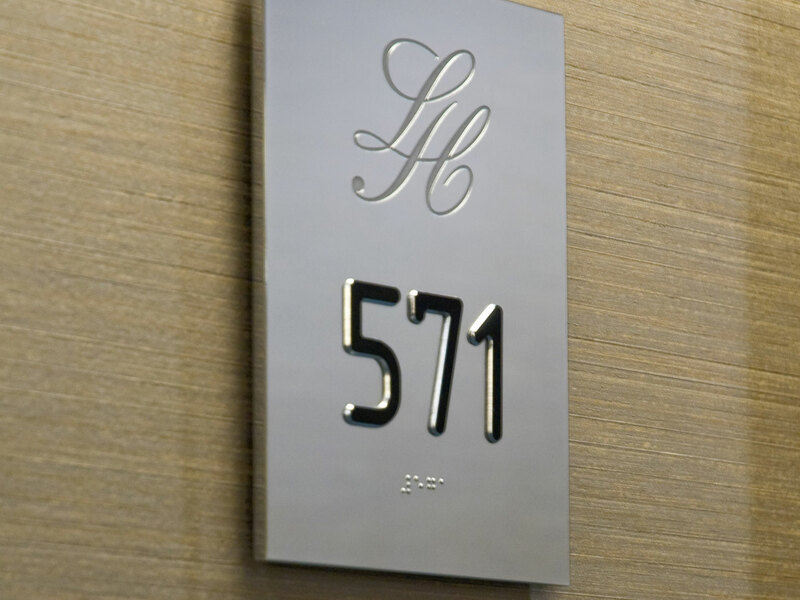 Inside, the use of chrome and brushed stainless steel reinforces an image of quality throughout the interior wayfinding and door numbering systems.